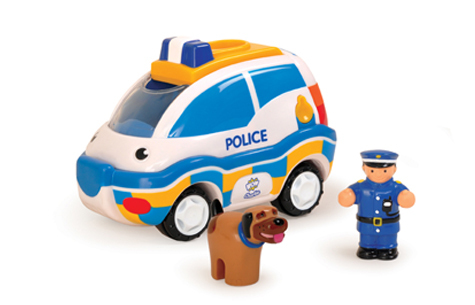 Friction-powered patrol car with removable figure and police dog. 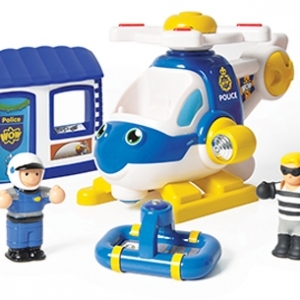 Use the policeman figure̥s hand to push the magic button and open Charlie̥s roof, then place the figure neatly inside. 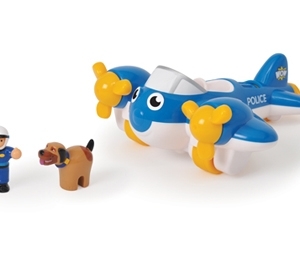 There̥s a space on the roof for the policeman̥s trusty police dog. 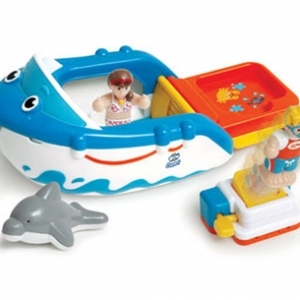 When the call come in, push Charlie along and watch as he speeds off with his motorised engine to the next crime scene in WOW Town.